Alan Novak | Rooney Novak Isenhour Group, LLC. Alan Novak’s political career began in Chester County, Pennsylvania as a Coatesville Area committeeman. He also served as a Coatesville City councilman for four years and was subsequently elected Chester County GOP chair. In that role, Alan helped deliver large pluralities from the county for state and national GOP candidates (1994–2002). Alan’s local success turned into statewide leadership when he was tapped to chair Pennsylvania’s Republican Party (1996–2005). 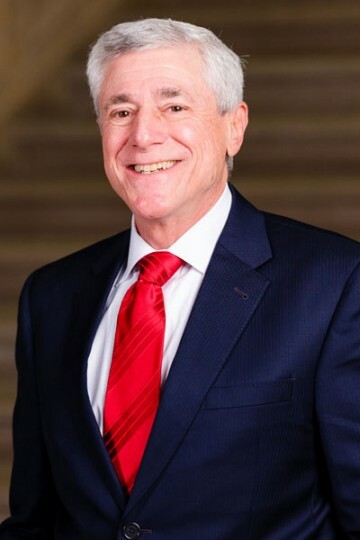 As one of the longest serving statewide Republican Party chairmen, Alan engineered nearly a decade of Republican dominance in statewide elections and was regularly recognized on PoliticsPA.com’s “Power 50 List” as one of the 50 most politically powerful Pennsylvanians. His experience has led him to be tapped to be a political advisor to Govs. Tom Ridge, Mark Schwieker and Tom Corbett. On the national scene, Alan served on the presidential campaign of President George W. Bush as well as on the Bush-Cheney transition team as part of the White House Fellows Commission. Trained as a lawyer, Alan brings a critical eye to discussion and debate. He has provided key analysis to shows on CNN, Fox News, ABC, MSNBC, Pennsylvania Cable Network, and Philadelphia television and radio shows, as well as commentaries for the Philadelphia Inquirer. Alan is the founder and president of Novak Strategic Advisors, a full-service lobbying and public policy firm, and co-founder of the RooneyNovak Group, an executive strategy firm focusing on bipartisan government solutions. Both firms are based in Harrisburg. Alan is an attorney with Lamb McErlane, a regional law firm located in West Chester. He currently serves on the board of Mid Penn Bank and as chair of the Public Policy and External Affairs committee of the Independence Health Group. He is the former chair of both the Pennsylvania Race Horse Commission and the Board of Trustees of Ursinus College.